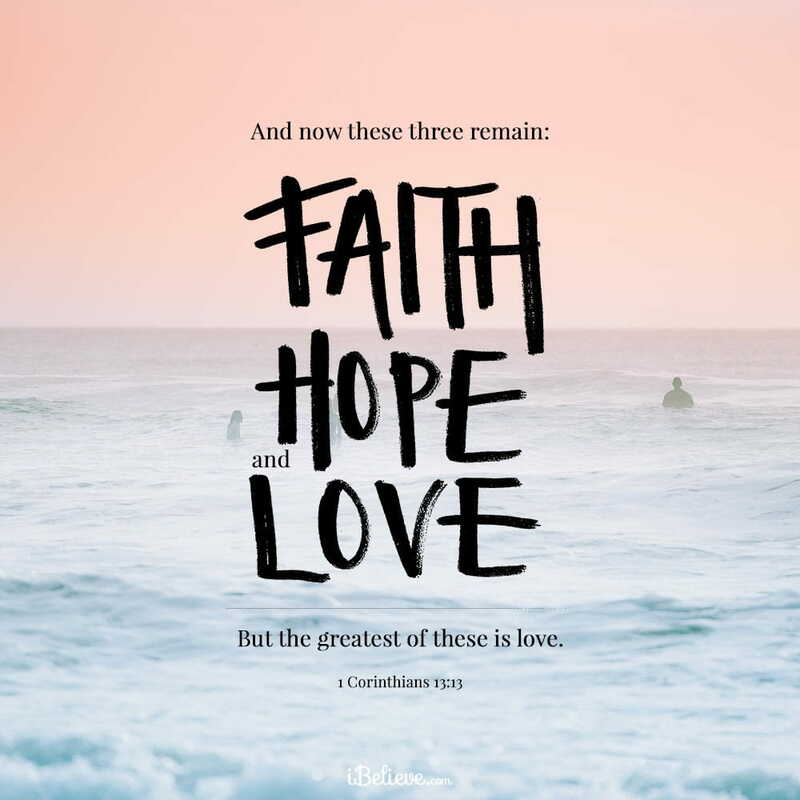 Known as the Love Chapter, 1 Corinthians 13 is one of the greatest reminders to us today of what real love looks like. And what it doesn’t look like. Widely read at weddings or written all over love notes, these words may become so familiar over time; they can almost lose some of their important message. “If I speak with the tongues of men and of angels, but do not have love, I have become a noisy gong or a clanging cymbal. If I have the gift of prophecy, and know all mysteries and all knowledge; and if I have all faith, so as to remove mountains, but do not have love, I am nothing. And if I give all my possessions to feed the poor, and if I surrender my body to be burned, but do not have love, it profits me nothing. We pray that our lives would be filled and overflowing with the power of your love so we can make a difference in this world and bring honor to you. We ask for your help in reminding us that the most important things are not what we do outwardly, it’s not based on any talent or gift, but the most significant thing we can do in this life is simply to love you and to choose to love others. Lord thank you that your love is patient. Help us show patience with those around us. Lord thank you that your love is kind. Help us to extend kindness to others. Lord thank you that true love is not jealous. Help us cast aside feelings of jealousy or hatred towards others. Lord thank you that your love does not brag and is not arrogant. Help us not to live with pride or arrogance, but to choose to walk with humility and grace. Lord thank you that true love does not act unbecomingly. Lord help us to extend kindness instead of rudeness towards others. Help us to lay aside the critical tone and tearing down with our words, so that we can truly walk in peace. Lord thank you that true love does not seek its own. Lord help us not to live selfishly, looking only to our own interests. Lord thank you that true love is not provoked. Lord help us not to become easily angered. Help us not to be so quickly reactive, but instead slow to speak and slow to become angry. Lord thank you that your love does not take into account a wrong suffered. Lord help us not to hold grudges, but to choose to forgive, even when it’s difficult. Lord thank you that your love does not rejoice in unrighteousness, but rejoices with the truth. Lord help us to love your words of truth, may we walk in your freedom and wisdom. Let it be what drives our lives and choices every day. Lord thank you that your love bears all things, believes all things, hopes all things, endures all things, thank you that your love never fails. Help us to love as you love. Fill us with your Spirit so that we can choose what is best. We are weak Lord, but we know also, that even when we are weak, you are strong within us. Thank you that it’s not all up to us. Thank you that you equip us to face each day with the power of your love, your forgiveness, and your grace. Find more by Debbie at www.debbiemcdaniel.com, https://www.facebook.com/DebbieWebbMcDaniel/, or https://twitter.com/debbmcdaniel.